CORE Group’s six technical and cross-cutting Working Groups are led by chairs and co-chairs from our Member and Associate Organizations. They provide technical leadership and facilitate the group to further the strategic development of standards, activities and products that will advance community-focused health programs and technical agenda. Our Working Groups are: Child Health; Community-centered Health Systems Strengthening; Monitoring & Evaluation; Nutrition, Reproductive, Maternal, Newborn, Child & Adolescent Health; and Social & Behavior Change. 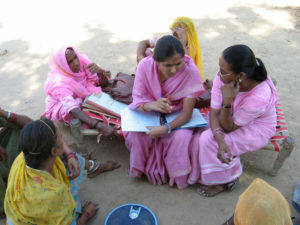 CORE Group’s Interest Groups work in similar form as Working Groups but are convened based on need. Our Interest Groups are: Disability Inclusive Health Technical Advisory Group; Humanitarian-Development Task Force; and Noncommunicable Diseases Interest Group. The Community-Centered Health System Strengthening Working Group will address the global need to focus on people-centered health systems and integration. The Working Group will also strengthen efficient and effective community health systems that deliver packages of maternal child health interventions tailored to address specific contextual needs and opportunities. Working Group pages require free login. 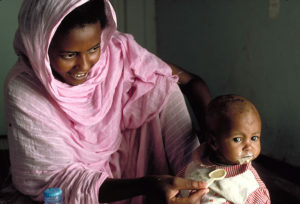 The M&E Working Group develops tools and trainings to increase child survival and health program performance and quality through the standardization of use of data, analysis and reporting. 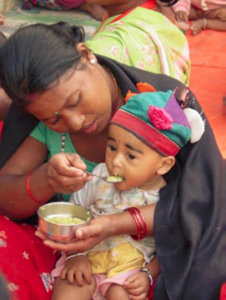 The Nutrition Working Group underscores the critical role of nutrition in maternal and child survival and health through dissemination of state-of-the-art information and approaches essential for quality nutrition programming. The RMNCAH Working Group synthesizes current research, best practices, and country experiences to provide CORE Group partner organizations with technical updates in the areas of women and maternal health; newborn and child health; and family planning and reproductive health. To contribute to expansion of promising community-based program approaches and effective monitoring schemes of integrated programs across the MNCAH continuum (through HBLSS scale up, training and monitoring; MAMAN training and monitoring; and USAID led integration efforts). To examine and disseminate innovations in MNCAH (ex. HBB, hemmorhage garment, and reproductive health technologies). Provide opportunities for CORE members and the broader development community to stay current on MNCAH research. The SBC Working Group contributes to improved maternal and child health outcomes by strengthening the capacity of CORE members to design and implement effective social and behavioral change strategies while documenting and disseminating valuable experiences. In 2018, CORE Group prioritized a Disability Inclusive Health agenda and established the Disability Inclusive Health Technical Advisory Group (TAG), based on requests from the global practitioner community, to address gaps in disability inclusivity in health programming and advocacy. 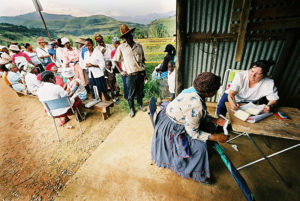 The Disability Inclusive Health Technical Advisory Group is open to all CORE Group members and associates, as well as non-members NGOs, CSOs, academic institutions, national governments, UN, donors, and policy makers’ representatives committed to work toward “Leaving No One Behind” and “Health for All” along the continuum from humanitarian relief to development. The TAG is committed to include the voice and work of people living with disabilities and disabled people organizations in the TAG. Advocate for increased resources for disability inclusive health programming. 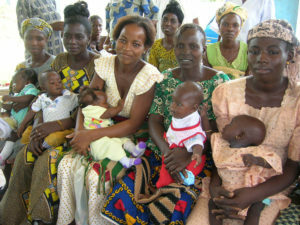 If the global community is to continue progress in reducing preventable maternal, newborn and child deaths, new strategies will need to be followed to address the biggest inequities, and to reach the most marginalized populations. Global health and nutrition programming in fragile contexts will need humanitarian-development hybrid approaches to address immediately life-saving needs while also maintaining steady progress in health system strengthening. Our collective approach will need to be different. It will need to be comprehensive of preparedness, resilience, acute emergency response, direct service delivery, effective transition, and longer-term attention to health system strengthening throughout the preparedness-emergency-transition-development continuum. As a contribution to this effort, the CORE Group’s Humanitarian-Development Global Health Task Force (HDTF) aims to drive improved coordination, communication and collaborative learning across global health programming in emergency response, recovery, and development. This Task Force will work closely with NGOs, CSOs, national governments, UN, donors, and policy makers to break down barriers that inhibit better coordination across the humanitarian-development continuum and ultimately improve humanitarian and development outcomes. Noncommunicable diseases (NCDs) account for over 60% of deaths worldwide and include but are not limited to cancer, diabetes, cardiovascular disease, chronic lung disease, mental illness, and injuries. NCDs cause millions of preventable deaths, particularly in less developed nations, where 4 out of 5 of these deaths occur. Most of these people, particularly in developing countries, lack access to the preventative measures or lifesaving treatments proven to be effective against NCDs. We already have many effective solutions, but we need to put them into action. CORE Group’s NCD Interest Group works to convene those working to treat and prevent NCDs at the community level, to share resources, events, and vital information to improve their work. To get involved with these groups, join their listservs.